When you hear the name "ViewSonic," your mind probably thinks of monitors, and rightfully so. After all, that company has been making quality displays for many years. But what if I told you ViewSonic is announcing an all-new Chromebox? It's true! The unimaginatively named "NMP660," as it is called, is a mini-desktop computer from the company that runs Google's Linux-based Chrome OS. You know what? It looks quite nice and is priced rather competitively. And yes, it has Google Play support for Android apps! 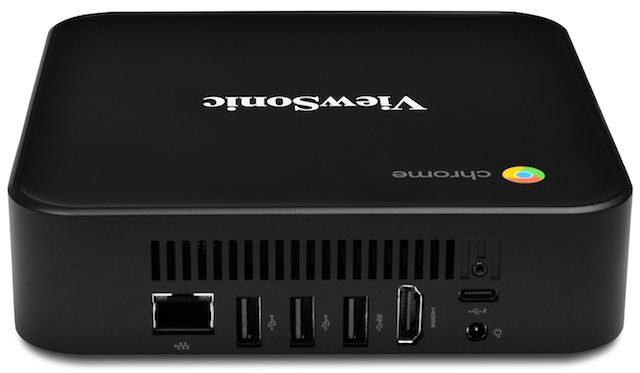 "The ViewSonic NMP660 Chromebox offers a quick out-of-the-box set-up, integrated Google management console and built-in security features, making it an ideal solution for educational and corporate environments. It can drive 4K content, and with the swift set-up, users can quickly access popular applications, websites and even games. Powered by Google Hangouts Meet, Google’s video conferencing software, the NMP660 facilitate presentations, brainstorming, and decision-making – even when employees, clients, or students are spread across the globe," says ViewSonic. The company further shares that the computer "is Google GMS certified and fully supports Google Play and the Chrome web store for a variety of apps. It can also manage, through the Google Management console, education and corporate applications. Integrated security features include automatic updates, sandboxing environment, verified boot control, data encryption with a TPM module and a simple recovery process. The ViewSonic NMP660 Chromebox features an Intel Kaby Lake processor to drive 4K content and has 4GB of memory, 32GB of storage and connectivity ports include: USB 3.0 and 2.0, USB-C, HDMI, RJ45, Audio-Out, and a SD reader." For $350, you are getting a rather beautiful mini-computer that has every port the average person should need. True, the Intel Kaby Lake 3865U processor isn't top of the line, but it is more than enough to run the fairly lightweight Chrome OS operating system. When paired with 4GB of RAM, this package should be quite capable, actually. You are probably wondering why ViewSonic is bothering to sell a Chromebox. Well, it actually makes sense, as the company is hoping you will also buy one of its interactive displays to accompany it. Andy Chien, product marketing manager at ViewSonic Americas explains below. 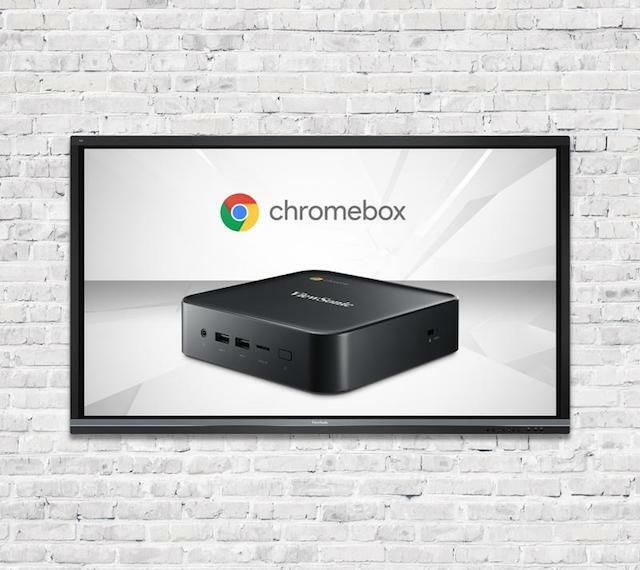 "Utilizing an interactive large format display or monitor alongside a ViewSonic Chromebox delivers a compact yet powerful solution with the speed, simplicity and security of Chrome OS. 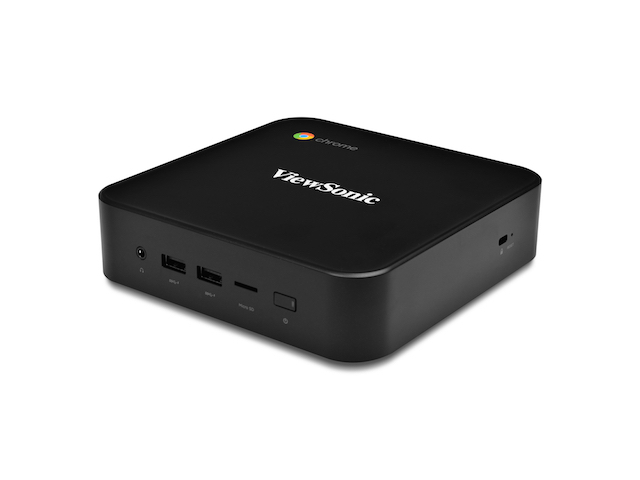 Because Chrome OS is becoming more of an industry standard with enterprise and education peripherals, the ViewSonic NMP 660 Chromebox is an affordable device to manage the platform. We see a limitless amount of solutions for the ViewSonic NMP660 Chromebox, from using it in the classroom and boardroom to leveraging it as a tool for digital signage installations." In other words, the ViewSonic NMP660 Chromebox won't likely be sold at Best Buy or Walmart. Instead, the company will sell the desktop directly to education and corporate customers as a way to compliment its interactive display products. If you are interested in buying this Chrome OS-based computer, it will be available next month for $349. For purchasing details, you can email the ViewSonic sales team here.